The Musée des beaux-arts Tropézien is organizing from February 16th an unprecedented exhibition as part of the "Picasso-Mediterranean" operation. Anartist with amazing skills, Pablo Picasso has created nearly 40,000 works, marked by experiments through a variety of modes of expression and uses of no less diverse material. This incomparable artistic legacy of the "Picasso phenomenon" has given rise to innumerable museums, exhibitions and events, including the international "Picasso-Mediterranean" operation which runs from spring 2017 to spring 2019. This event initiated by the Picasso National Museum - Paris brings together more than sixty institutions that have imagined together a program around the work "stubbornly Mediterranean" * of Pablo Picasso and the places that inspired him. 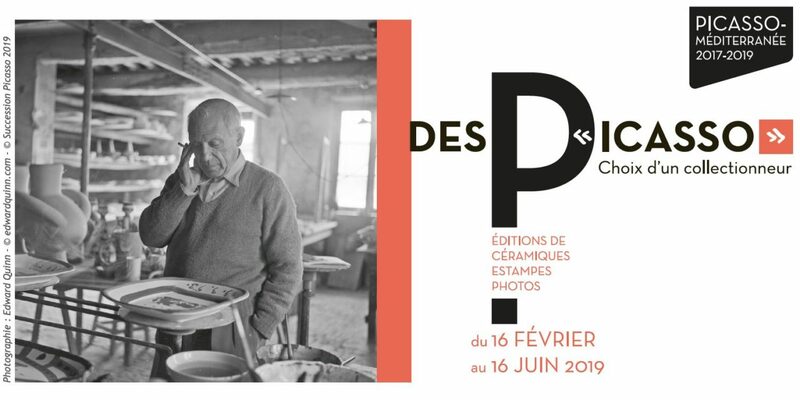 The event "Des Picasso, choice of a collector" was made possible with the loan of a private collection with many vases and objects, whose ceramics are not made in the workshop. From February 16th to June 16th, at the Annonciade Museum.